The Vektra eco kettle is a smart environmentally-friendly innovation that combines kettle and vacuum flask technology to boil water efficiently then keep it hot for up to four hours. This means you don’t continuously re-boil, saving money, time and energy. The kettle’s sides do not get hot even when the kettle is boiling. It has a lever controlled anti-spill stopper, non-drip pouring spout, and a comfortable and secure handle for safe, easy use in the busiest of homes and offices. Energy saving, water saving, stylish, economic and ecologically brilliant. Available in a choice of colours and sizes. 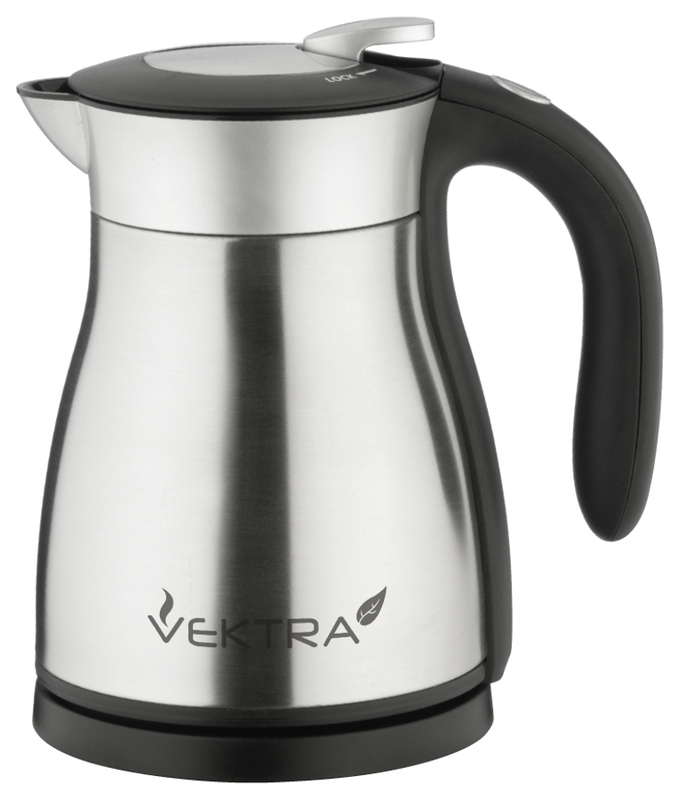 The Vektra Vacuum Eco Kettle - 1 Series - 1.2 Ltr Brushed Stainless Steel product ethics are indicated below. To learn more about these product ethics and to see related products, follow the links below. I thought I had accidentally ordered the wrong one, as I received the one with the red handle (which I didn't want). Interesting to see I was sent the wrong one. Rather slow to boil, and to pour, and I was disappointed by the lack of a water level indicator. But the thermos function is very useful and reduces the number of times I have to reboil it. 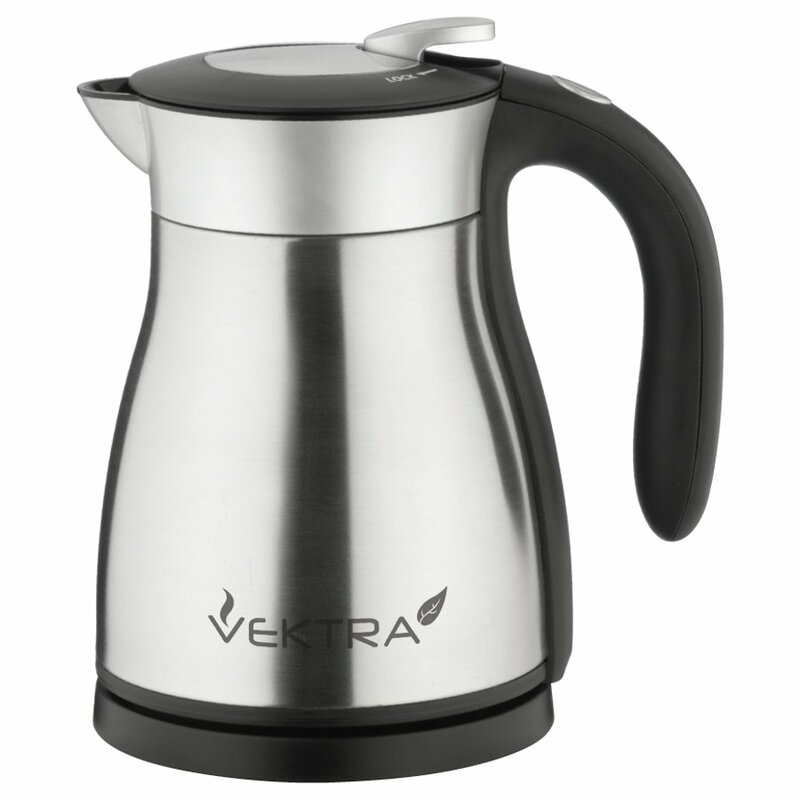 There are currently no questions to display about Vektra Vacuum Eco Kettle - 1 Series - 1.2 Ltr Brushed Stainless Steel.